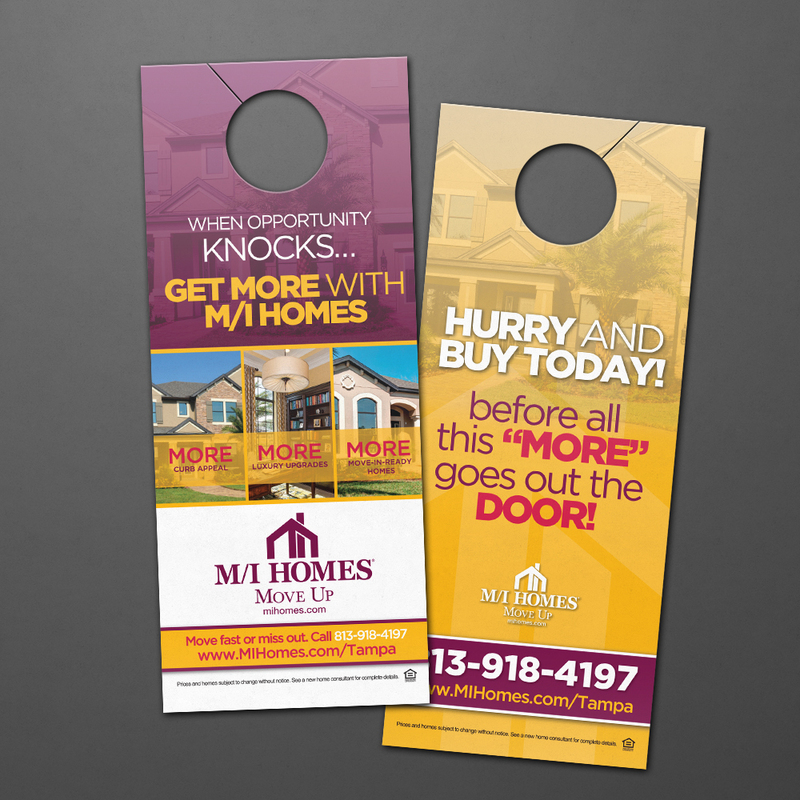 This door hanger was designed by SHAKE, for M/I Homes, to help promote their brand. Vibrant colors were used, along with pictures of homes in the background to spark interest in anyone who might see it. You’ll notice that we used repetition and rhyming to maintain a catchy appeal. Getting creative with print advertising is important for a business to stay relevant in an ever evolving market.